Shrushi Polymers Pvt Ltd are supplier & Manufacturer of Expanded Polystyrene. Our product range also comprises of Thermocol Products, Thermocol Boxes and Thermal Insulation Materials. 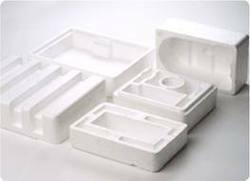 We are one of the prominent manufacturers and suppliers of Expanded Polystyrene. The product is considered a cost effective material for packaging applications. The product is ideal for storage and transport of fragile and expensive items as it has an exceptional shock absorbing characteristics. Further, it is also ideal for stackable packaging goods as it is compression resistant as well. Looking for Expanded Polystyrene ?